According to the Center for Science in the Public Interest, artificial food dyes have been linked to allergies, ADHD, and cancer. I'll pass! So I decided to experiment with different fruits, vegetables, and spices to make homemade natural food coloring. I used my juicer to extract the juice from fruits and vegetables. If you don't have a juicer, you can mash the fruit and strain it, boil the veggies in a little water and use the concentrated liquid, or use juice from the store. 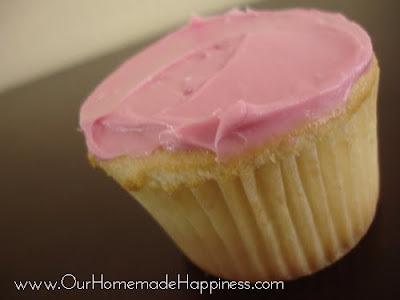 If you are coloring frosting, I suggest using this heavenly cream cheese frosting recipe. 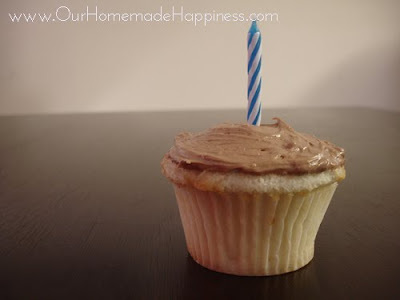 I also tried a butter cream frosting made with 12 Tbsp. butter and 1 pound powdered sugar. But the cream cheese frosting tasted way better, especially when mixed with things like kale juice or turmeric. Start with small amounts of "natural dye" and taste the frosting as you go to make sure it doesn't overpower the original flavor. Check out my extremely scientific results below to find out what worked and what didn't. Orange 12 tsp. 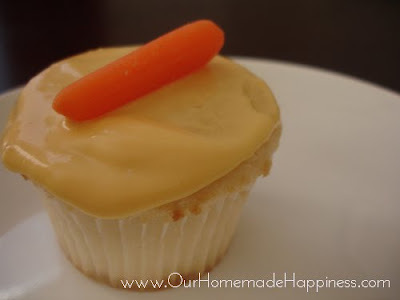 juice from carrots per 1 cup cream cheese frosting I could taste the carrots, but it tasted great with the cream cheese frosting. 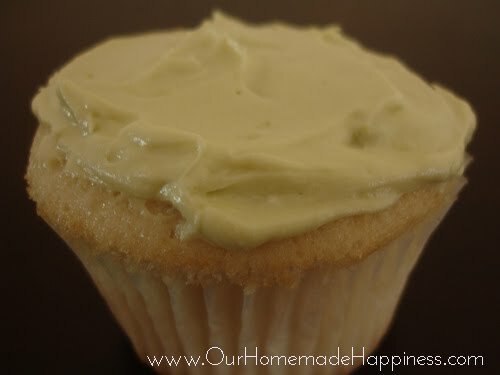 (Omit milk in cream cheese frosting) I could taste a hint of turmeric in the butter cream frosting, but it still tasted good. Next time I would use cream cheese frosting and less turmeric. Pale Yellow-Green 8 tsp. mashed avocado per 1 cup cream cheese frosting Disappointing. It all depends on the color of your avocado. My avocado wasn't very green. The taste of avocado was too strong. Pastel Green 8 tsp. 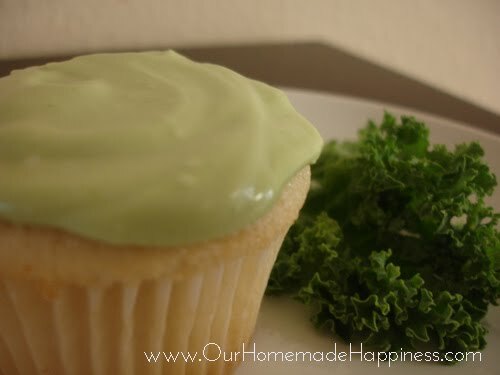 juice from kale or spinach per 1 cup cream cheese frosting I could taste a hint of kale, but it still tasted great. Spinach and kale dyed the frosting the same color green, but spinach left a yucky aftertaste. Light Pink 2 tsp. 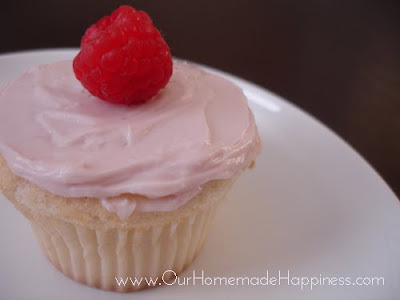 juice from raspberries per 1 cup cream cheese frosting Yummy! Pink 4 tsp. juice from strawberries per 1 cup cream cheese frosting Delicious! Hot Pink 2 tsp. juice from beets per 1 cup cream cheese frosting I loved the bright color beet juice produced. I could taste a tiny hint of beets, but it still tasted great. Purplish Pink 4 tsp. 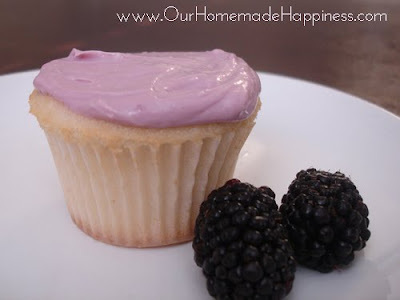 juice from blackberries per 1 cup cream cheese frosting Yummm! 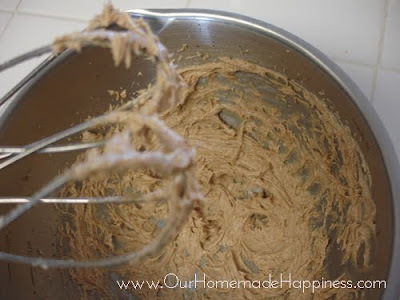 (Omit milk in cream cheese frosting) Can't go wrong with cocoa! Grey-Lilac 8 tsp. juice from blueberries per 1 cup cream cheese frosting I was expecting a pretty lilac color, but it made an unappetizing gray color. A commenter said you can get lilac by boiling red cabbage. (Omit milk in cream cheese frosting) I read that paprika was supposed to make brick-red frosting. As you can see, it was not brick-red and it tasted nasty. 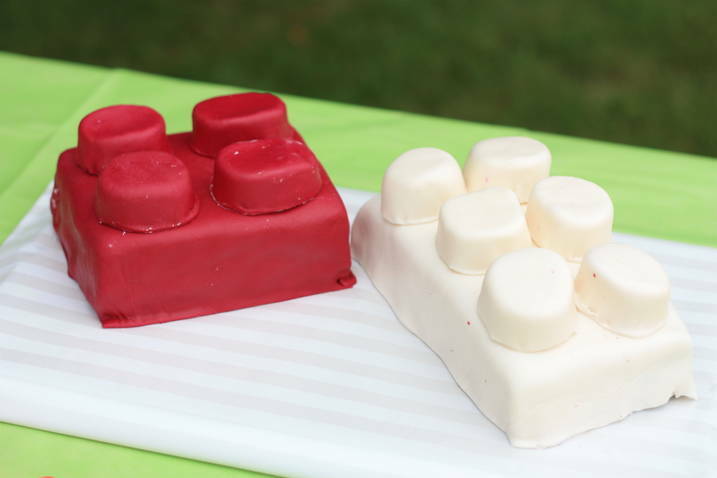 I didn't think red was possible until Nicole at Perfection Is My Enemy showed me this amazing Lego cake. Click here to see how she did it. 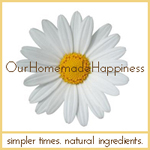 Do you know other ways to make natural food coloring? Please share! Great post!! I'll keep this in mind next time someone asks for something frosted. Color of throwup. That's one I almost always go for. :) That made me laugh. Awesome! My favorite frosting colors are the carrot-orange and the beet hot pink. Now I want a cupcake. I love it!!! :) A friend of mine just asked me 5 minutes prior to reading this post if I had a recipe for natural food coloring. Then I found you on my blog. 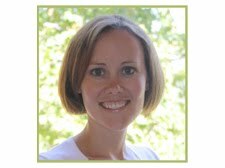 Thank you for sharing with us at Healthy 2Day Wednesday! I love the idea of natural food coloring. I have never done this, but I would think any of the fruits would work better than veggies or most herbs. I am happy to see someone made an attempt, thanks for sharing. 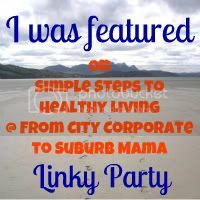 Just stopped by from the Natural Living Link-Up. oh, I just love this - especially for the berries! 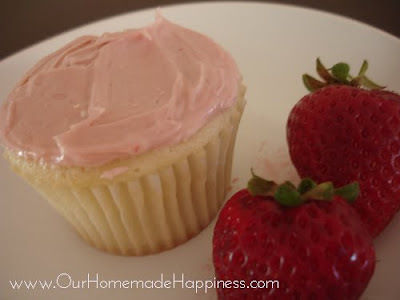 Strawberry cream cheese sounds delicious, in addition to the fake that it looks like perfect frosting! I'm totally going to try this! What great ideas! 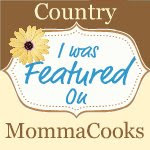 Thank you for sharing on Foodie Friends Friday! Please come back on Sunday to VOTE! I love this and the chart you made. Thank you! Stopping by from Saturday show and tell. Love for you to stop by and return the follow when you can. My daughter loves to create frosting colors when we bake, so I love the idea of using natural ingredients! Thanks for sharing on Foodie Friends Friday! I made this Lego cake for my son's birthday using beets. Check out the cake picture about 1/4 of the way down the page. Your Lego cake is amazing! That's so cool that beets made such a perfect red color! Wow, I just LOVE your super scientific results ;) No really, that table was very helpful! I'm pinning this and sharing on FB! 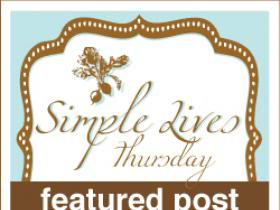 Thanks for sharing at Tiny Tip Tuesday! I have wanted to experiment with homemade food colors! I love your scientific table! Thanks for sharing on Foodie Friends Frday! If you boil finely chopped red cabbage in water, then let the water cool and mix in a tiny bit of baking soda, you get a nice lilac colour with no flavour. Awesome info. Thank you so much for sharing! Awesome! How nice of you to test these all out and provide a full report and save me the trouble! It's difficult to get certain colors "au natural". I tried a natural food coloring made by India Tree and they worked ok...just a tad pricey though! Thanks for linking up at Meatless Monday! Stopping by from not just a housewife. Wow! What an awesome chart!!! I am so glad someone else (you) took the time to experiment and share. My SIL makes cakes, but is leery about adding food coloring to many things. I can't wait to share this with her... "real-food" coloring :) Love it! These are really fantastic especially if you have a food color allergy. Thanks for sharing this on foodie friday. This is such a cool experiment. I would have loved to have tested this out. Very fun. 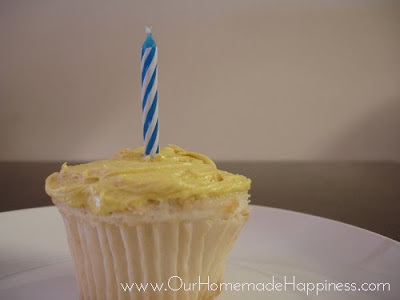 Thanks for linking to Foodtastic Friday. Hey there Kendra, thankyou so much for dropping by, I have extended the characters from 15 to 30. Hope this helps. Great post!!! I am going to try some of these options when I make sugar cookies at Christmas. Thanks for linking up. 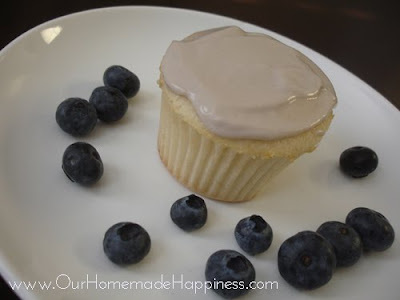 I was able to make a purple tinted frosting with blueberries. I boiled the blueberries with sugar, water and cornstarch and strained them. Here is a link to the recipe. 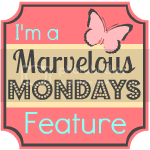 Thanks for sharing this on Marvelous Mondays! That's a much nicer purple! Thanks for sharing Julie! Ground fennel seeds make such a nice green colour. I have not tried it yet, as I don't make icing or sweet things these days as I am on a very special diet, but I would imagine that it would taste like licorice and be green. I'll have to try it! Thanks for sharing! I use wild Maine blueberries cooked down with a little water to extract color from the skins(most of the color is there). It makes a gorgeous purple red to lavender depending on the amount of juice. I'm glad to know there's a way to get a nice color from blueberries! Thanks for sharing!! I made icing today with pumpkin puree, cream cheese, heavy whipping cream, a bit of cinnamon, nutmeg and vanilla, and it was a great shade of orange. (For pumpkin cookies). Sounds yummy and festive!! Thanks for sharing! Have you tried jello or kool-aid powders, they actually work pretty good. But thanks for all your findings.